We go behind the scenes with the team that created Night Sky, the Webby-winning app that invites users into the solar system using augmented reality. Andy Weekes is the Company Director of iCandi Apps Ltd and the mind behind Night Sky. Ever look at the sky’s array of bright stars and wonder what it’s like to be among them? iCandi Apps Ltd. knows that, for most of us, the answer is yes. Andy Weekes and his team made this dream a reality by incorporating the AR Grand Orrery feature into their hit app: Night Sky. The app’s AR kit allows users to not only gaze at celestial objects, but walk among them. Naturally, it landed a 2018 People’s Voice Award for Best Use of Augmented Reality in Mobile Sites & Apps. We talked with Andy about how the app has changed with AR, what he hopes users learn from it, and more. The Night Sky app recently expanded to incorporate the new AR Grand Orrery feature, allowing users to walk around the solar system. What prompted your team to integrate an ARkit into the app? Night Sky has always been an AR app from day one, back when it launched in 2011. ARKit was incredibly exciting for us, as it allowed us to take AR to the next level by actually bringing celestial objects into the room. It really was a natural extension to Night Sky’s first and foremost purpose: a map of the sky. ARKit allowed us to bring the Sky to our users, creating a really immersive learning experience for anyone with a curiosity. ARKit allowed us to bring the Sky to our users, creating a really immersive learning experience for anyone with a curiosity. Andy Weekes Company Director, iCandi Apps Ltd.
Was there a learning curve with developing the AR feature? What did you learn about creating great AR experiences for users? Sure, everything we do we constantly learn from. It was slightly different as we were essentially creating an object rather than a map. We started with some basic 3D models, then as we developed the feature we made these more realistic adding environment texturing. We also learned a lot about creating an onboarding process to the point where it just happens on Night Sky, as the Orrery essentially floats in the room rather than being anchored. We’re always learning as we’re developing, and this will continue. What do you hope users take away from using the AR Grand Orrery? We hope our users are enlightened. We hope they learn something new. We hope they enjoy the experience. It’s a really exciting way to learn because it beats looking at pictures in a text book. We think our users will want to go back to school to learn about the solar system again! Recently, twelve new moons were discovered around Jupiter. How will Night Sky expand as more celestial wonders continue to be uncovered? We have a team of three astrophysicists working for us. They’re always writing new original daily content for Night Sky, but also part of the job they do is astronomical accuracy. New things are constantly discovered in space, so our team is constantly striving to update the app. Long term Night Sky users will know the app is constantly updated and we always use the updates as opportunities to also update astronomical data. iCandi App at the 22nd Annual Webby Awards! 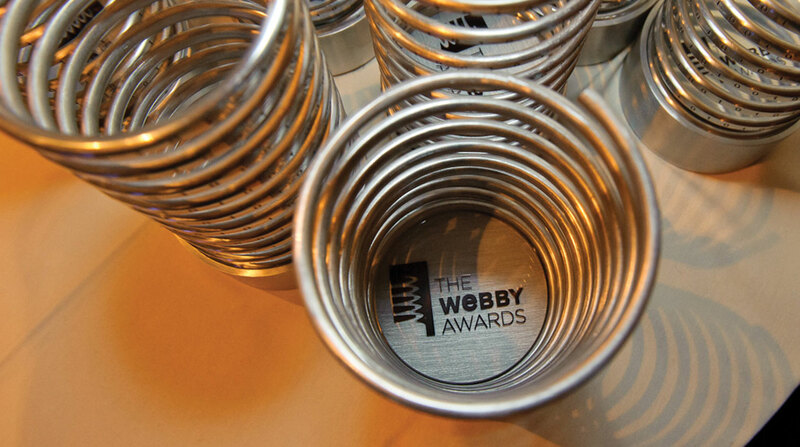 What was your first reaction to learning that you won a Webby People’s Voice Award? For me, it was a moment of realization of just how popular Night Sky has become. I realized how far it has developed from its beginnings, as an app that was less than five megabytes in 2011, to the immersive experience that is used by many millions of people today. We were up against giants such as Snapchat and Ikea in our category, so to win the People’s Voice Award make me think, “Wow, ok we’re pretty big ourselves, now!” It was also particularly special as it was awarded by our users, and these are the people we constantly strive to deliver the best experience to. For them to vote for us was a sign that we must be on the right trajectory, and it’s nice to have that recognition. Start exploring space and download 2018 Webby Winner: Night Sky. Want more great interviews with Webby Winners? Check out more Q&As and other stories on the Webby Features Page.